Rwanda is a small East African country that draws visitors from all over the world, primarily to see its critically endangered mountain gorillas. The country's history is marred by political strife and civil war, and in 1994, Rwanda was the setting for one of the world's most horrific genocides. Nevertheless, Rwanda has evolved into one of the African continent's safest and most stable countries. Its infrastructure is good, its capital city Kigali is booming, and its mountainous landscapes are some of the world's most spectacular. Rwanda is part of Central Africa. It shares its borders with four countries, including Uganda to the north, Tanzania to the east, Burundi to the south and the Democratic Republic of the Congo to the west. Rwanda has a total area of just 10,169 square miles/ 26,338 square kilometers - making it slightly smaller than the U.S. state of Maryland. Rwanda is one of Africa's most densely populated countries, with July 2016 estimates placing its population at 12,988,423. The majority of Rwandans are Hutus, an ethnic group that accounts for 84% of the population. Rwanda has three official languages: Kinyarwanda, French and English. Of these, Kinyarwanda is by far the most widely spoken, serving as a common tongue for 93% of the population. Christianity is the predominant religion in Rwanda, with Roman Catholicism being the most widely practiced denomination. Together, Catholics and Protestants account for almost 89% of the population. Rwanda's currency is the Rwandan franc. For current exchange rates, use this accurate conversion website. Despite its equatorial location, Rwanda's high elevation means that the country enjoys a surprisingly cool climate. Although averages vary depending on where you're going, there is very little difference between seasons in terms of temperature. Rwanda has two rainy seasons - a long one that lasts from early March to late May, and a shorter one that lasts from October to November. The driest time of year lasts from June to September. It is possible to track Rwanda's famous gorillas all year round, but the optimum time to do so is during the dry season (June to September) when the going is easier and the weather is more pleasant. The roads are easier to navigate at this time, and mosquitoes are less abundant. The dry season is also best for game-viewing in Rwanda's national parks, as the lack of rain encourages animals to congregate at the waterholes. If you want to track chimpanzees, however, the rainy season offers the best chance for success. Set deep within the Virunga Mountains and studded with volcanic peaks, Volcanoes National Park is one of the best places in the world to track the critically endangered mountain gorilla. Spotting these magnificent animals in their natural environment is an unforgettable experience, while other park highlights include its resident golden monkeys and the tomb of famous gorilla researcher Dian Fossey. Today, Rwanda's capital of Kigali has earned itself a reputation as one of the cleanest, safest cities on the continent. However, the Kigali Genocide Memorial Center serves as a sobering reminder that this was not always the case. Elsewhere, the city boasts colorful markets, authentic restaurants and a fascinating collection of insightful art galleries and museums. Akagera National Park is a recently rehabilitated game reserve that shares a border with Tanzania and is home to Central Africa's largest protected wetland. 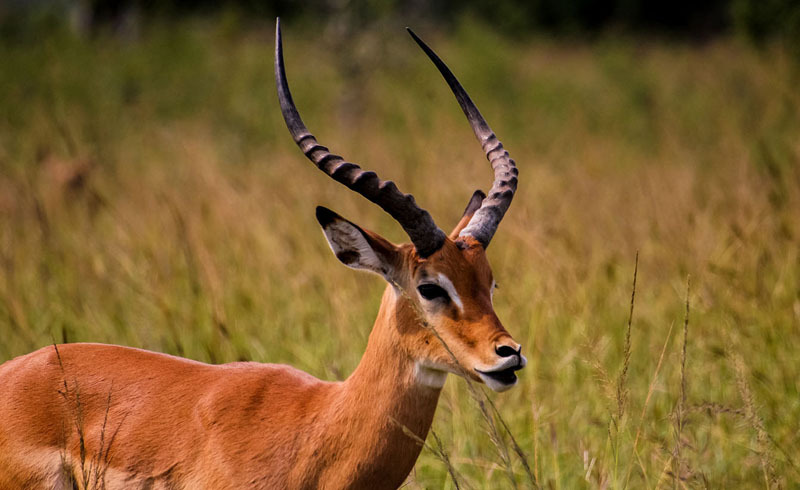 It's the ideal place for spotting big game animals like elephant and lion, but also offers the opportunity to look for more elusive species, including the sitatunga and topi antelope. It is a veritable birder's paradise, with over 500 avian species recorded within its boundaries. Nyungwe Forest National Park is believed to be one of Africa's oldest forests, and its untouched wilderness provides a home for no fewer than 13 primate species - including chimpanzees, colobus monkeys and golden monkeys. More than 300 bird species have been recorded here, including 16 endemics; while the forest's arboreal landscape includes beautiful waterfalls, dense canopies and stunning mist-shrouded valleys. Kigali International Airport (KGL) is the main portal for most overseas visitors. 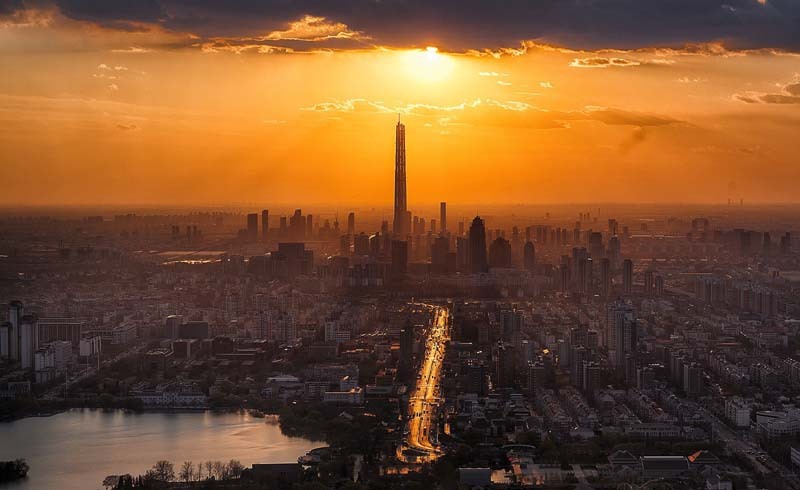 It's located approximately 3 miles/ 5 kilometers from the center of the capital and is served by major airlines including Qatar Airways, South African Airways and KLM. Alternatively, buses offer overland routes between Rwanda and its neighboring countries. Citizens of most countries need a visa to enter Rwanda. Nationals from a handful of countries including the U.S. and the UK can purchase a visa on arrival. Check your visa requirements on the Rwanda Immigration website. If you are from or have spent time in a Yellow Fever-endemic country, you will need to provide proof of Yellow Fever vaccination upon entering Rwanda. Recommended vaccines include Hepatitis A and Typhoid, while even those from non-Yellow Fever countries should consider being vaccinated against the disease. Malaria occurs throughout Rwanda, and prophylactics are strongly advised in order to avoid infection.